My trip to Kenya and Uganda was primarily a networking-trip. The main purpose was to build relationships with “Intercessors for Kenya”, “… Uganda” and “…Africa”. As we spent time together in worship, teaching and prayer, the Lord gave us “downloads” of revelation, intense times of prayer and intercession and growing relationships with a common sense of purpose and vision. As I have said a number of times before, from a global perspective, the prayer alliance between Africa and Europe on behalf of Israel and the nations of both of our continents is a key factor. To me this vision and approach has been strongly confirmed as key relationships where formed and deepened. May the Lord give all those involved wisdom and insight as to how to continue to build this strategic alliance. San Remo conference (May 3-5): Spread the word! Come along! We all realize, to one degree or the other, that Europe is in the midst of a huge spiritual battle. Are the Judeo-Christian roots of Europe being revived, is the fear and the presence of God being re-kindled, is revival breaking through – or is the anti-Christian and anti-semitic spirit of Babel completely sweeping Europe? The key bench mark for this is the attitude of the European nations regarding Israel. If Israel is blessed and honored in Europe, the blessing of the Lord will return to Europe. If not, Europe is going to be shaken and shattered – which is already starting to happen before our very eyes. 2019 – Pressure continues to mount for the nations to decide to align with God's purposes for Israel. In recent months, a number of prophetic voices with a calling and discernment for the nations have shared their view that in 2019 there will be increasing pressure on nations to choose sides for or against God’s good purposes with the Jewish people and Jerusalem. That choice is expressed in a variety of ways by the leadership and the general public of a nation: In the area of anti-Semitism or anti-Zionism, by turning a blind eye to the Islamic anti-Semitic agenda, or by following a humanistic/syncretistic world-government-agenda in which Israel does not have any positive contribution or role. With the UN and the EU playing major roles, the world continues to spiral into the vortex of this agenda. But God…! … but God! According to Psalm 2, the King of Israel, the Messiah, our Lord Jesus Christ is sitting on his holy throne with his scepter firmly in hand. He is drawing together and continually equipping His royal priesthood to stand with Israel as well as to stand in the gap for their respective nations regarding their relationships to Zion. He is doing this with wisdom, discernment and speed even as the spirit of Babel (which is the spirit of anti-Christ) continues to rise. As far as Europe is concerned, exactly this is happening with amazing acceleration even as we speak. The Warsaw Summit, hosted by the Polish government and the US government, just ended last week. Some 60 Nations had gathered together to discuss current issues concerning the Middle East. The elephant in the room, which US Secretary of State, Mike Pompeo, spoke of as the “main” issue prior to the summit, was Iran. In the end, it turned out that the US wanted to talk Iran - Europe didn’t. We saw a rift between Western Europe and Eastern Europe. Eastern European countries were keen to follow the US lead and spoke out for a more pro-Israel approach in foreign policy. And we recognized that not only the Eastern European countries had that goal in mind, but also the Arab block. 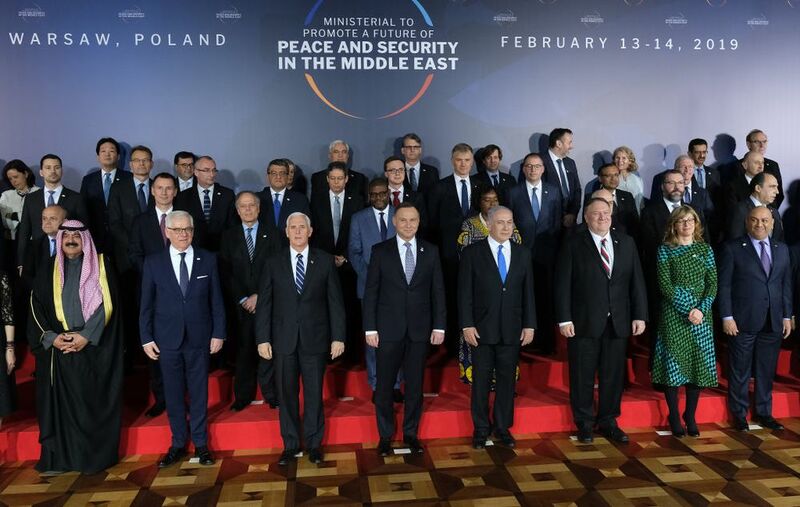 At the Warsaw summit, we saw Israel, the US, Eastern European countries and Arab countries officially aligning against Iran for the first time. And we saw that the Western European countries – mainly Great Britain, France and Germany, were the main obstacles to the international community addressing the Iranian issue today. The first quarter of 2018 saw the leader of the Palestinian Authority, Mahmoud Abbas (hard-pressed and increasingly isolated of late), seeking support and political backing in the European Union’s capital. His move comes at a time in which the Trump administration is following through with its new approach to the Middle East conflict, in particular regarding the issue of Jerusalem. Years of Abbas’ evasive tactics and threats undercutting direct peace talks, as well as his unilateral actions in the UN undermined not only the possibility for peace, but took their toll on Mahmoud Abbas’ credibility as a partner for peace – at least in the eyes of the Americans. After the United States had proclaimed their recognition of Jerusalem as Israel’s capital and their intent to move their embassy accordingly, Abbas shifted gears. His fury led him to verbally assault various US-leaders including the President, going as far as calling US-Ambassador to Israel, David Friedman “Son of a dog”. The culmination of his undiplomatic rant against the U.S. was the cancellation of his planned meeting with American Vice-President, Mike Pence, in Ramallah this January. And while Pence was visiting Israel undeterred, proclaiming the U.S. Embassy move this May already as a timely present for Israel’s 70th birthday, Abbas travelled to Brussels to counterbalance this move by seeking recognition of the State of Palestine by the European Union. "I welcome this opportunity to discuss the foreign policy of the State of Israel – its goals, actions and results. I think that the results are plain to see even here at the Knesset, with the delegations that you describe. We are, in effect, in the midst of a diplomatic flourishing that is unprecedented in the annals of the State of Israel. We are in continuous contact with a growing number of countries on six continents if one separates between North America and South America, which I visited this year, each one of them, replete with meetings, and agreements with the heads of major powers, especially the US, China, Russia, India, Japan and many G-20 countries. We are spreading out in Africa, Latin America, Asia and Islamic countries, including in the Middle East. President Reuven Rivlin published a video today (Tuesday), marking 70 years since the United Nations vote on Resolution 181 passed on 29 November 1947 – known as the “Partition Plan” – which affirmed international support for the creation of the a Jewish nation state in the Land of Israel. 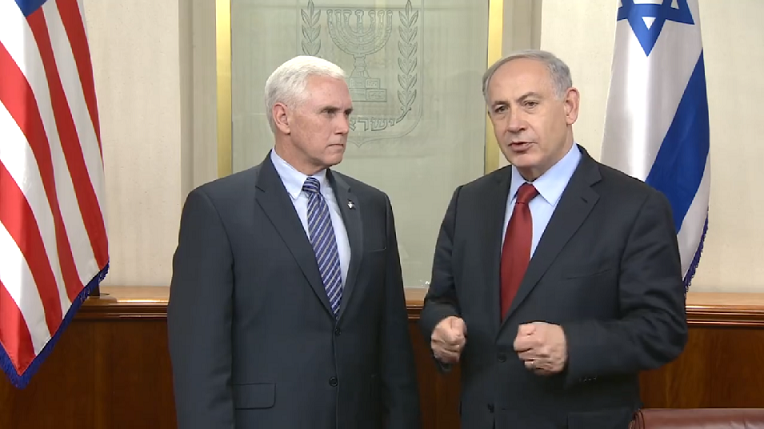 The video was sent especially to an event commemorating the historic vote, hosted by the Israeli delegation to the United Nations in New York, with the attendance of US Vice President Michael Pence, US Treasury Secretary Steve Mnuchin, Israeli Ambassador to the UN Danny Danon, and President of the World Jewish Congress Ronald Lauder.